IEEE UEMCON 2018 which will provide an opportunity for researchers, educators and students to discuss and exchange ideas on issues, trends, and developments in Information Technology, Electronics and Mobile Communication. The organizing committee has graciously offered to provide 100 Student, on a first-come, first-served basis, with a FREE one day Workshop to promote academic projects in Data Science among enthusiastic students. IEEE UEMCON 2018 which will provide an opportunity for researchers, educators and students to discuss and exchange ideas on issues, trends, and developments in Information Technology, Electronics, and Mobile Communication. The organizing committee has graciously offered to provide 100 participants, on a first-come, first served basis, with a FREE one day Workshop to promote academic projects on the Internet of Things(IoT) among enthusiastic participants. The Workshop will be taken by Dr. Phillip G. Bradford (University of Connecticut, USA) and Dr. Himadri Nath Saha (Institute of Engineering and Management, India). 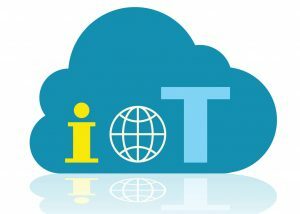 Internet of Things is the inter-networking of physical devices, vehicles, buildings, and other items, embedded with electronics, software, sensors, actuators, and network connectivity that enable these objects to collect and exchange data. By learning the inter-connection and data exchange, participants can create their own IoT Networks with connected devices and can access it from anywhere in the world. This workshop will provide the participants knowledge and experience in the fast-growing field of IoT. We will introduce a new virtual online simulator, where participants can do the IoT projects (using Arduino) like smoke detection, automatic light detection, temperature control, object detection etc. The projects are specially designed in a way, which covers the key areas of IoT. We assure that after finishing this workshop, participants will not be some cliché beginners in the field. The objective of this Workshop is to create an environment for IoT pioneers and practitioners in the industry to share the hands-on experience with IoT systems (use cases, deployments, architectures, etc.) This workshop is supposed to teach participants hands-on practical knowledge about emerging IoT technologies and enable them to use the learned technology for their own projects.